We’ve enjoyed years of watching home bakers compete in The Great British Bake Off but now it’s the turn of the professionals. 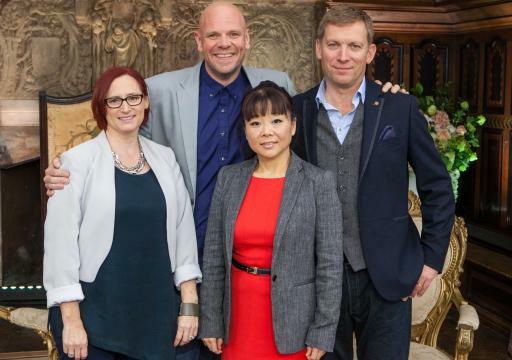 In a brand new series, Tom Kerridge hosts the search for Britain’s best team of pastry chefs. The competition features fifteen teams of three bakers, all hoping to prove that they are the Crème de la Crème. Our professional baking teams are challenged to make stunning and elaborate patisserie and desserts by a formidable trio of judges; Benoit Blin, Claire Clark and Cherish Finden. The series features baking techniques as you’ve never seen before with visually astonishing results. With professional pride at stake, it’s not a competition for the faint hearted. May the best team of pastry chefs win.